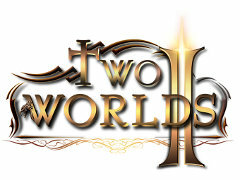 For all of you out there who are looking forward to Two Worlds II, I’ve got some news. It isn’t good, but at least it is solid and from the horse’s mouth. The full release is below, but the cliff’s notes version is that the North American release has been pushed back from October to January. They will be using the extra time to put on the extra layers of polish that make a good game a great game. I’m sorry to know I’m going to have to wait, but I’d rather have a finished game later than an incomplete one now. Read on for the official wording.